Escape to the Emerald Coast at this fantastic 2 bedroom/2 bath Enclave resort condo in Destins, Florida's popular Crystal Beach location. This updated and well-maintained condo is just a matter of steps from the beach and is reasonably priced for families wanting to stay in a great location. 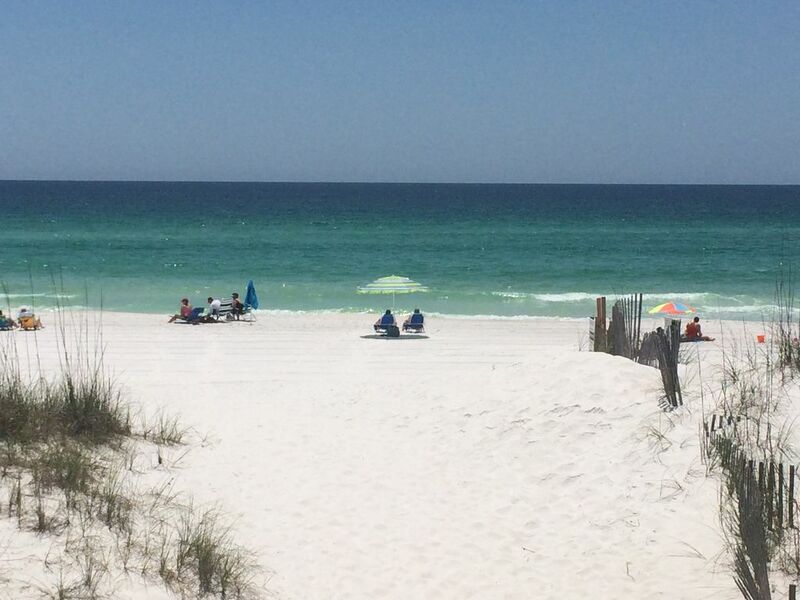 Enclave is one of Destin's best kept secrets. Gulf views from living area, master bedroom and patio. phone, air conditioning, WIFI internet access, full size fully eqipped kitchen, Large deck. King size bed in master bedroom, Queen in 2nd bedroom, Queen sofa sleeper in living room. TVs DVDS in rooms. Condo was very easy to book and owner communicated very well. Condo was clean. Overall great experience. Beautiful and charming! Convenient and close to beach! We had the best time!! I think we did all Destin had to offer!! Great area not far from the beach!!!!!! the only thing we missed is a cabinet full of board games for kids ??!!!! Most rental condos usually have games !!! But overall a great space for spring break!!! My Family and I very much enjoyed this beautiful condo and hope to return next year. The condo at the Enclave was beautiful, clean, smelled great, quiet location, you walk across a small street and you're at the beach - you're a minute a away. This condo is located off the Old Scenic Hwy so you're away from the busy strip, but just a 5 minute drive away from the strip for when you're ready to shop/eat, etc. We stayed the week prior to July 4th wknd and over the wknd and the beaches weren't too crowded, the neighborhood wasn't crazy loud, it was peaceful. The condo had everything we needed - so comfortable, kitchen fully equipped. Great view of beach/ocean from master bedroom. Great view of fireworks off of Harbor from balcony in living room. We really enjoyed our Destin vacation, and having a nice place to stay made it so perfect!! Thank you! !